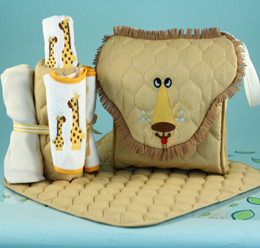 Make every outing with baby an adventure with this cute as can be Lion Diaper Tote Baby Gift. 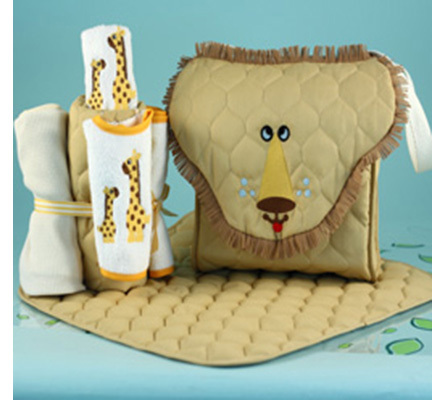 While the tote and layette accessories have a definite exotic safari look, each of the included items in this beautiful newborn baby gift is completely made in the USA from domestic fabrics by Silly Phillie This diaper tote baby gift includes practically everything needed to care for baby while out and about. 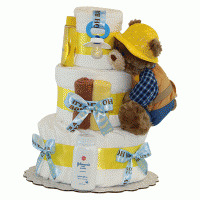 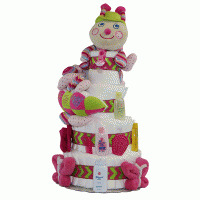 It's also a gift one can feel comfortable giving to either a baby boy or girl given the gender neutral colors. 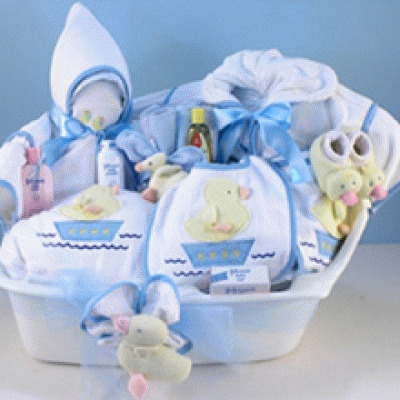 Baby Gift contents: Quilted, Lined tote w/2 side pockets, & shoulder/stroller strap 18" x 18" quiltes & lined changing pad 30" x 30" baby blanket Terry bib Terry burp pad Washcloth And for just $7.50 more than the price above, you can have baby's name embroidered on the changing pad to make this a beautiful personalized baby gift. 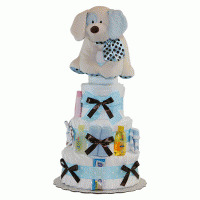 Choose the personalization option and add baby's name in the text box above.